Lighting is responsible for setting the mood and atmosphere, but it can easily make or break a room if done poorly. Many interior designers and homeowners sometimes err on the expensive side—opting for large, extravagant lighting without really considering if the same effect is possible with a more cost-efficient design. Designing an outdoor space that ticks all the boxes on your checklist is important. After all, you probably want to spend a lot of time enjoying it with friends and family. The perfect outdoor living space is one that meets a range of needs while staying timeless, which means toughing it out 24/7 so you don’t have to miss out on using it. Summer is the time to be outside and to make the most of your backyard. Seasonal improvements are a great way to awaken the splendor of your outdoor living space, and to add long-term value to your home. Each season brings with it a different set of needs and restrictions, but for the summer, it’s all about extending the season and your ability to enjoy yourself outdoors well into the night. Cookout gurus and amateur grill enthusiasts are putting serious thought into the grill they’ll be using this year. Whether you’re hunting for a replacement or an upgrade for your current outdoor cooktop, the options on the best grill for summer are many and varied. 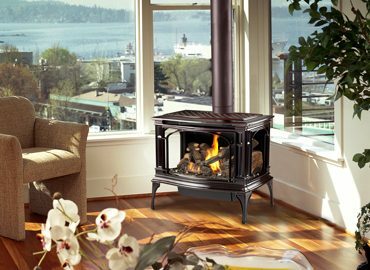 Having a warm, cozy fire in your home is an amazing experience; but imagine being able to transport some of that warmth to your outdoor living space. You’ve spent the time and money on the perfect outdoor kitchen or lounge, and now it’s time to make it feel like your second home. Pergolas have been around for centuries, and as their designs evolved, so too have the outdoor spaces in which they’ve been installed. These features have almost become a staple of beautiful landscapes and breathtaking outdoor living with pergolas.